Well today is a special day. Not because it is Star Wars May the Forth be with You day, but for another reason. This date always reminds me of my little racing co-driver, die-hard rider, my road dog, my little “egger-on”. Every automotive or motorcycle enthusiast, street racer, or even a mechanic that is a father has thought (and hoped) that one day their little gremlins will grow up to be like them. Along that road of parenting and teaching them right from wrong, you experience the things that shape their future and begin to accumulate memories. Memories that make you smile, make you cry and thinking back on them, they even make you burst out laughing uncontrollably at what may have been the most frustrating time ever in my life. These memories pop up throughout the years at family gatherings, graduations and in random “remember when” conversations. Now that today is May 4th, I want to share a few of these special memories with you…enjoy! Ok, now back to the story. My young co-pilot wanted this car and at times pretended that she was piloting this vehicle and racing me down the freeway whenever we went for a drive.. You should have seen her little feet working those imaginary gas and clutch pedals. One hand gripping the invisible steering wheel and the other shifting gears. On a rare occasion or two or three or four times, where we were actually, kinda, somewhat, partially involved in a freeway Fast and Furious showdown with some other Paul Walker wannabe, this too-short-to-reach-the-pedals instigator would get excited. She would shout out, “They are flashing their hazards. Doesn’t that mean they want to race? Let’s get’em!” Whats a father supposed to do? You can’t let your kids down. LOL. As the years passed and her 16th birthday was upon us, it was the time that all parents dread…driving lessons. Now my wife, she has no patience for this and I don’t blame her. I stepped up to do the teaching and in a stick shift, no doubt. The words “Oh Boy! This should be interesting,” were uttered a few times. Looking back, I wished we had recorded this, as it was the most frustrating, painstaking, terrorizing time of our lives… and that was just starting the car. 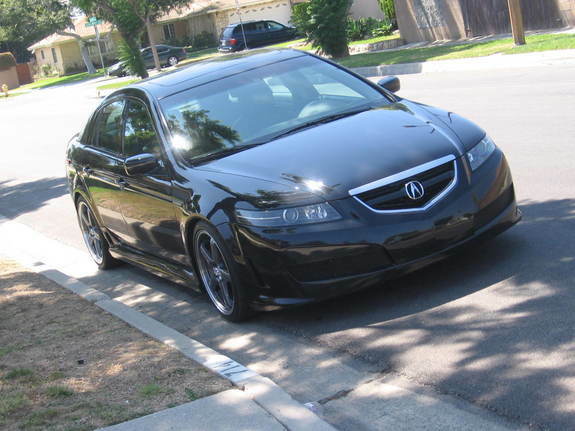 Now the car to be used for these driving lessons was my car at the time, my customized 2005 Acura TL. 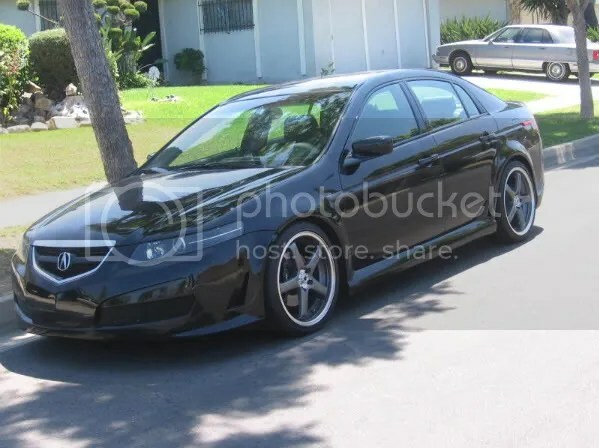 This car was the most expensive car I had bought and, as usual, I dumped money into it right away: wheels, exhaust, expensive body kit, short shifter, and custom headlights. This car was a beast, a suit-and-tie kinda beast, with its black factory leather Recaro-like seats and Brembo brakes. 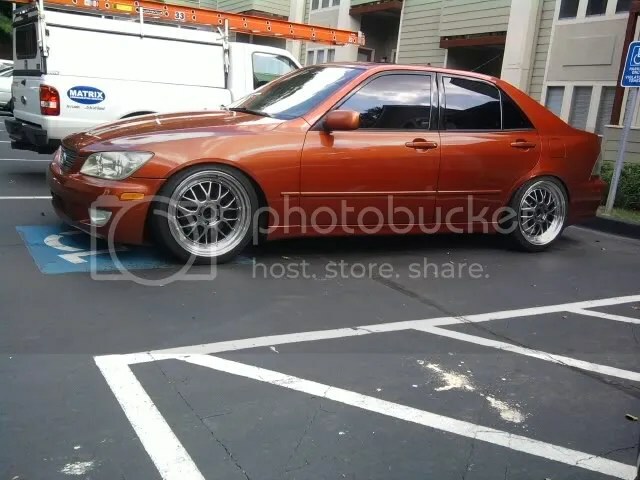 I really miss that car. Since our now 16-year old co-pilot was now ready to start terrorizing the streets, we started off with a few lessons. “Now ease off the clutch and listen to the exhaust tone as it changes when you apply the gas. SLOWLY! Feel the car.” I believe that having a throaty exhaust helps people learn how to drive a stick because you can hear how much throttle you are inputting. A little trick I use on the wife as well. “Babe, I need to put an exhaust on the car so I can teach our kids how to drive a stick shift.😉” I guess after she reads this, I will not only be banned from the dealerships, but the muffler shops as well. So after a few burnouts lessons in the TL, we went back to practicing in an automatic and let the driving instructor do his job. Later that year I traded in the TL for a 2008 United Gray VW Rabbit. I named it “Mr. Jack Rabbit”. 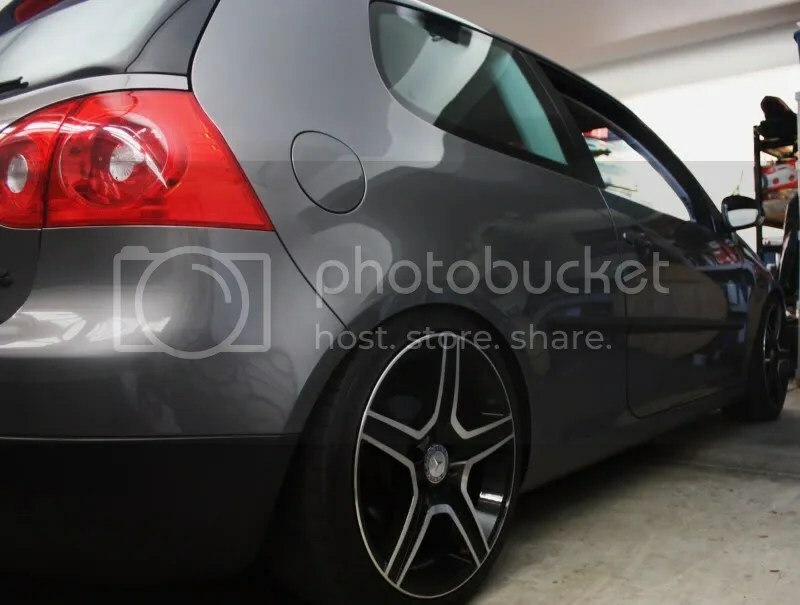 It was a lowered two-door 5-speed, with a Magnaflow exhaust, cold air intake, short-shifter and 18 inch wheels. Why? Because I’m a tuner and this is what I do😊. 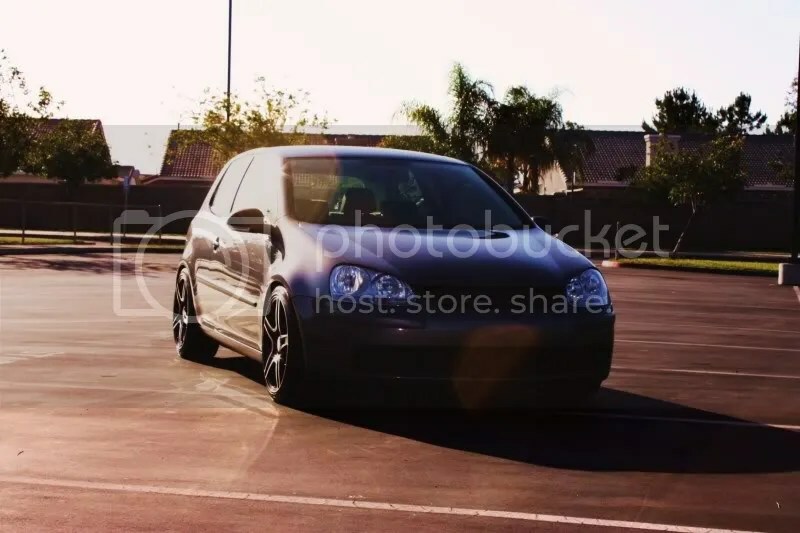 This was my baby after I traded in the TL and also my intro to German cars. With a few lessons down, my teenage co-pilot finally driving an automatic comfortably, it was time for a refresher on driving a stick shift. So, as it goes with teenagers and hormones, they have NO PATIENCE!!! It’s amazing how much we had this little Jack Rabbit bucking like a bronco auditioning for the rodeo. I mean, what happened to what she learned just a few months ago? And what happened to all the fun we had? The smiles? The laughter? How did we get 100 feet from the house just for her to give up, pound the steering wheel, throw a fit, jump out of the car and walk home? How did I get left alone, strapped in the passenger seat of my own car in the middle of the street with the driver’s door wide open? WHUUUUUUUUUUT?! I mean what happened to my little enthusiast? Where was that persistency and that “can-do attitude” she had through the first few lessons in the TL? Kids! I sat there perplexed. You have to be kidding me! We made it this far only to have a temper tantrum in the middle of the street. Talk about grumpy! After that unfortunate incident, the garage was now closed. I retired and left the driving lessons to the professionals. She got her driver’s license, and as it goes with most kids, you can’t tell ‘em anything after that. Wow. Great story to celebrate Ash’s Birthday. Love it. Happy 24th Ash. Great article. That’s our girl! I remember her storming into the house that day. What a great story. Happy Birthday to you co-pilot. You actually brought tears to my eyes. There is nothing more powerful than a love between a dad and his daughter. Salute to you! I cry every time I read this. And I’ve read it 3 times lol. Love you pops! Thank you for everything you’ve taught me. I don’t think I say it enough. And thanks everyone for the birthday wishes!